The Catholic Talks: Question: Someone told me that the people who wrote the gospels did not really write them. Is that true and if it is does that mean the Bible is not authentic? To answer your first question, yes, Bible scholars seem to believe that the gospels were not personally handwritten by Matthew, Mark, Luke, or John themselves in full. 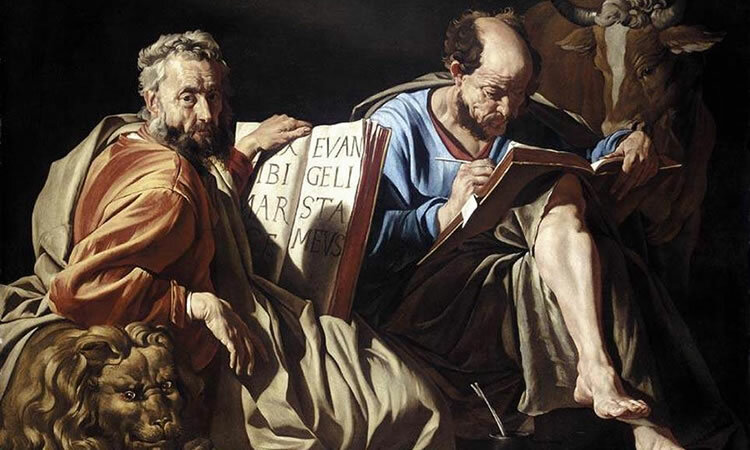 Before you start doubting their authenticity, this is what the scholars believe: although the Gospels may not have been written by Matthew, Mark, Luke, and John, they were the source of the teaching, and their disciples did the writing. It would seem strange to us that the apostles didn’t start writing down the gospels after Christ ascended into heaven. There are two reasons: the first is they believed Christ would come back within their lifetime and therefore, there was no reason to write anything down, the second is that they were not told by Christ to write but to preach orally. So after Christ ascended, the effort of the apostles was to evangelize by preaching. They were assigned to different places and had disciples under them. Saint Mark, for example, was the disciple of St. Peter who was said to jot down Christ’s teachings and activities as he heard it from St. Peter. Eventually, St. Mark would have his own disciples who would read his notes and teach their own disciples. As the apostles were martyred one by one, it became clear that Christ would not be coming back in their lifetime. It was this realization that the teaching that was handed down should be written. So whatever the disciples of Matthew, Mark, Luke, and John read and learned from their respective teachers were written down. Because at the time there was still no canon of what books made the bible, we can imagine these written documents being edited so they are better understood, and more insights added as the Holy Spirit guided them. Whether each of the gospels was written by a single author or not, we still believe that it is God who is the author using these people as instruments. Therefore, regardless of human authorship, because God is the ultimate author, the Bible is authentic. Think of it this way. Say the president of a company dictates a letter for his secretary to be typed and sent out. Say the secretary got the message down but felt she needed to add some explanations. Say also she ran it through two editors who recommended that she change the sequence of some sentence, and add and remove some words here and there so that the letter would read better. If we read that letter and found out it was written and edited by many people, we would still say that the author is the president and therefore, the letter authentic. The issue of the message being changed or corrupted when the message is passed down is a misunderstanding of the Christianity. Because there are communities who have understood the message, it would be almost impossible to change without the rest noticing. This is why throughout the years doctrine and Scripture have been safeguarded in the same way – with the Church challenging a different point of view when one arises.